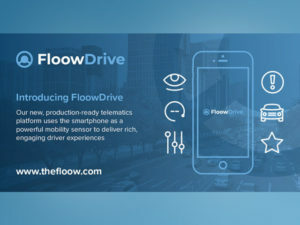 Global telematics company The Floow has launched a production-ready telematics platform that it says can be used to insurers to develop a telematics solution for drivers and fleets within days. According to the company, the current insurance telematics market has grown by 26% in the last year to 17.4m policies worldwide, although the technology has to date been limited to a handful of major insurers. Dubbed FloowDrive, the platform uses drivers’ smartphones to capture data to encourage safer driving and lower insurance premiums as well as offering access to an optional app-based rewards scheme to incentivise better driving. According to the firm, the platform can be customised for insurers in last little as three to four days rather than several months, removing barriers for firms looking to enter the insurance telematics market. The launch of the product comes as a new poll of more than 200 decision makers from international insurance companies reveals that the widespread adoption of telematics is now seen to be dominant in shaping the future of car insurance.